Nisar Nasik is a Rawalpinid based poet. He is the writer of famous Pakistani national song “Dil Dil Pakistan”. He is the writer of two books “Chothi Simat Ka Musafir” and “Dil Dil Pakistan”. 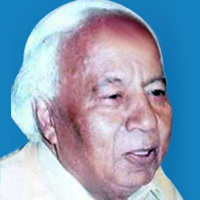 He remained associated with Radio Pakistan long time and also wrote for Pakistan Television. Pakistan Television also awarded four lifetime achievement awards for recognition of his services. Nisar Nasik also wrote songs for many films. He did his poetry in Urdu and Punjabi.